The California Guided Pathways Project will help 20 California community colleges implement an integrated, institution-wide approach to student success by creating structured educational experiences that support each student from point of entry to attainment of high-quality postsecondary credentials and careers. 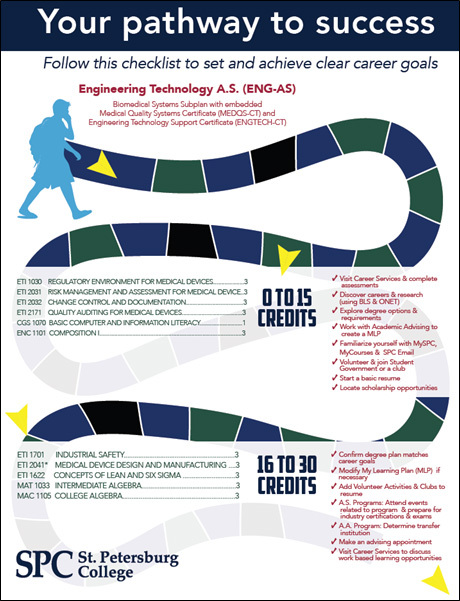 These maps are aligned to knowledge and skills required by four-year institutions and the labor market, thus ensuring that students can continue their studies and advance in their careers. The California Guided Pathways Project will run from 2017-2019. Colleges will send teams to six institutes, where they will receive guidance and structured time to plan for campus work to create clear pathways to high-quality credentials and develop the change management strategies needed to accomplish this goal. College teams will be made up of five people including the president, a faculty leader, and other stakeholders. Each college will also receive support from a team of pathways coaches and information on complementary reform efforts in California that can help support specific facets of their work. Colleges will pay a participation fee of $15,000 per year ($45,000 total) and will cover travel and staffing costs to get their teams to the institutes. Hotel costs and meals at the institutes will be covered by the project. Colleges may use funding from Chancellor’s Office-led initiatives to underwrite these costs. Who is leading the California Guided Pathways Project? The project is a broad-based collaboration designed to adapt the national AACC Pathways model to California. Under the fiscal agency of the Foundation for California Community Colleges, the project draws on the expertise of the American Association of Community Colleges (AACC), Bakersfield College, Center for Community College Student Engagement (CCCSE), Community College Research Center (CCRC), National Center for Inquiry & Improvement (NCII), and WestEd. Additional support will be provided by the Aspen Institute, Achieving the Dream, Jobs for the Future, and Public Agenda. The work is supported by a California-based advisory committee that includes college representatives, Academic Senate for California Community Colleges, Achieving the Dream, California Acceleration Project, California Community Colleges Chancellor’s Office, California State Universities System Office, Campaign for College Opportunity, Career Ladders Project, Chief Student Services Administrators Association, Education Results Partnership, Success Center for California Community Colleges, Institute for Evidence-Based Change, Institutional Effectiveness Partnership Initiative, Legislative Analyst’s Office, and RP Group. The project is funded through generous support by College Futures Foundation, the Bill & Melinda Gates Foundation, the James Irvine Foundation, and the Teagle Foundation, in addition to fees paid by participating colleges.